Sulaiman S.M.Y. 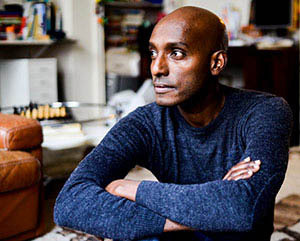 Addonia is a novelist who fled Eritrea as a refugee in childhood. He spent his early life in a refugee camp in Sudan following the Om Hajar massacre in 1976. His debut novel, The Consequences of Love was shortlisted for the Commonwealth Writers’ Prize and was translated into more than 20 languages. He currently lives in Brussels where he has launched a creative writing academy for refugees and asylum seekers.